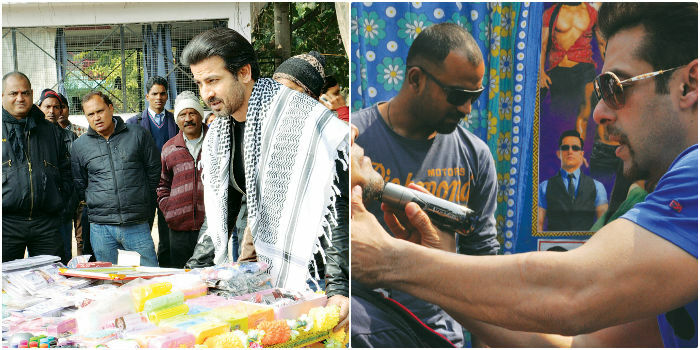 Catch Ranbir Kapoor selling vada pav and Salman Khan turning barber for real, on Mission Sapne, a soon-to-premiere show on Colors. The reality show has 10 celebrities taking up the professions of ordinary people for a day, and using their wit, intelligence, charm and star power to make as much profit as possible. a�?The idea is to give back to the society,a�? says Raj Nayak, CEO, Colors. 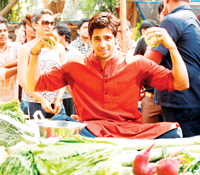 The series will also see Mika Singh selling tea in Delhi, Siddharth Malhotra turning vegetable seller in Mumbai, etc. a�?It has famous personalities from different walks of life stepping into the shoes of a common man, earning their daily wage through fair means and giving away the earnings, multiplied by 100, to the beneficiary,a�? says Nayak. a�?The celebrities have been very generous with their contributions. They have not only done the show pro-bono but have also whole-heartedly dedicated their time and energy to the cause,a�? he adds. For example, television actor Ram Kapoor was so touched by the struggles of a taxi driver (Kiran) that he decided to give her a huge compensation over and above the sum that she was supposed to receive.A� It is large enough to hold Kiran in good stead for years. The show isA� a collaboration between Sobo Films and Colors. a�?When the concept was presented to us, we realised ita��s an aspirational show. It can inspire millions to come forward and help people in need. That inspired us to go ahead with it,a�? Nayak says. As for the people chosen for the show, he says, a�?Vikas Gulati, the producer of Sobo Films, and his team did an extensive study and shortlisted these 10 with the help of NGOs and social workers.a�? He adds that the show focusses on long term solutions, and not just temporary support, as the celebrities have pledged additional support to the people beyond the money raised. Premieres on April 27, at 10 pm, on Colors TV.